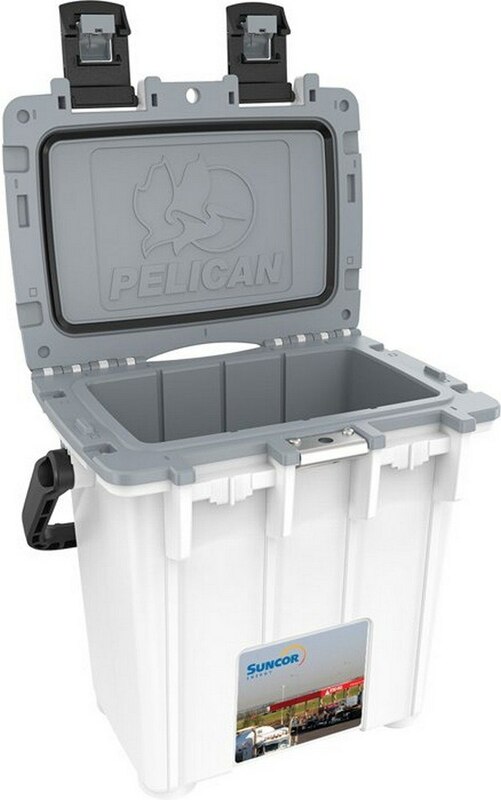 The Pelican 20qt Cooler features ergonomic carrying handle and allows inserting brand logo and message for Business Swag. Get your fill of promotional potential with the Pelican 20qt Cooler at the next corporate event or tradeshow! Your customers would surely appreciate you for the cooler that allows carrying food and drinks for the entire gang during travel and tours. This cooler is constructed to last for lifetime and create tons of brand impressions every day. It features a molded-in lock hasp for secure storage. It serves as a bottle opener for easy opening of bottles during travel. Special tall and slender design of the cooler not only facilitates easy transportation but also holds up to 4 bottles or 15 cans in upright position. Ergonomic handle allows convenient carrying. One can keep the drinks chilled and fresh with the 3 days ice retention it offers. 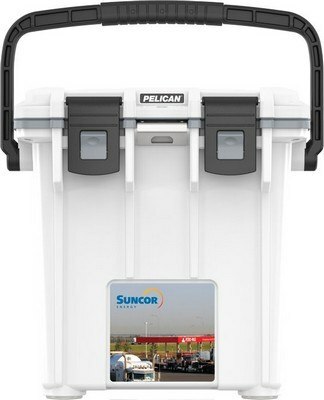 Customize this cooler in white today with your brand details for optimum visibility and impact.